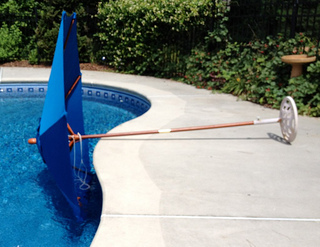 We have had our fair share of patio umbrella mishaps from tipped outdoor umbrellas to umbrellas that have landed in our pool. 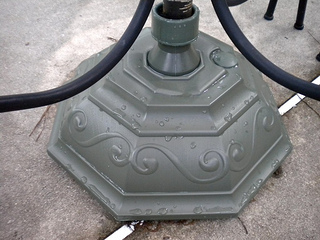 One umbrella flew out of the patio table umbrella hole because we hadn't yet purchased a base for it. Another free standing one wasn't screwed in tightly to the base and yet another time the umbrella stand wasn't heavy enough for the size umbrella. So perhaps you can learn from my mistakes and enjoy your outdoor umbrellas where they belong - in the right size stand.